Scientists have not nearly plumbed the depths of genetic associations with sporadic amyotrophic lateral sclerosis, according to a new analysis in the July 14 JAMA Neurology online. First author Margaux Keller and colleagues at the National Institute on Aging in Bethesda, Maryland, measured heritability—the degree to which ALS risk factors are inherited, as opposed to attributable to one’s environment. Combining data from three separate genome-wide association studies (GWAS), the authors conclude that if one could sum up all the factors that led to ALS in the combined 1,223 cases studied, genetic heritability would account for at least 21 percent of the risk. Only 0.5 percent of ALS risk comes from known ALS genes, Keller estimated; the rest are unknown. The authors identified 11 new chromosomal regions that might harbor some of the missing heritability—prime areas to trawl for the next round of ALS genes. The study backs up a recent trend in thinking among ALS geneticists: that people who have apparently sporadic disease can nonetheless blame their genes for their condition, at least in part, said Summer Gibson of the University of Utah School of Medicine in Salt Lake City. (See also Jan 2014 news story.) Gibson was not involved in the study. She said the 21 percent figure is not one she would quote to patients and their relatives; it does not mean that for an individual patient, genes explain 21 percent of their disease. Rather, it applies to a population of sporadic ALS cases, in which overall about a fifth of disease risk came from genes. Thus, the paper tells geneticists that they should keep looking. To quantify this ALS heritability, Keller and senior authors Bryan Traynor and Michael Nalls decided to apply a relatively new kind of analysis called genome-wide complex trait analysis (GCTA) (Yang et al., 2013; Yang et al., 2011). GCTA differs from a typical GWAS, which analyzes each single-nucleotide polymorphism (SNP) individually, asking if the particular variant contributes to disease risk. A GCTA considers all SNPs at once, asking how much of this overall genetic variety contributes to disease risk. This is an advantage, Keller said, because it allows the overall effect of multiple SNPs, which are non-significant on their own but are somehow additive or multiplicative, to be measured. A disadvantage, Keller added, is that only SNPs are analyzed; de novo mutations would be missed, as would genetic lesions such as insertions or deletions. In ALS, a large series of repeats in the C9ORF72 gene causes a large number of familial cases (see Sep 2011 news story); similar genetic defects would be invisible to a GCTA study. In Keller’s analysis, the C9ORF72 region did not make a major contribution to heritability, though nearby SNPs did; these could be variants that co-segregate with the repeat region, Keller said, but she could not be sure. 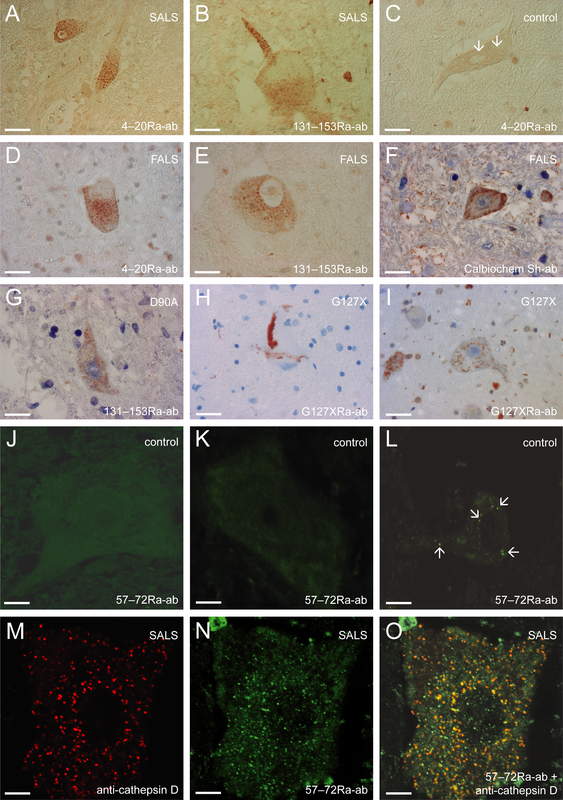 Keller and colleagues have already applied GCTA to Parkinson’s disease (Keller et al., 2012), and another group recently applied it to ALS as well (Fogh et al., 2014). These latter researchers attributed 12 percent of ALS to genetics. The difference highlights some of the factors to which GCTA results are sensitive. “GCTA is a well-established technique, but the results can be affected considerably by the estimate of disease prevalence used,” commented Ammar Al-Chalabi of King’s College London, a co-author of the ALS GCTA paper earlier this year, in an email to Alzforum (see full comment below). Keller and colleagues used a prevalence of one in 10,000, whereas the other study authors used 0.5 in 10,000. In the earlier study, Al-Chalabi and colleagues also calculated heritability for a one in 10,000 disease prevalence, and then they got the same number as Keller. “It could be argued that 12 to 21 percent is a large difference, but in absolute terms it is only 9 percent, which is not that huge,” Al-Chalabi noted. Heritability also varies by population. The Keller study included cohorts from Finland (Laaksovirta et al., 2010), the United States (see Feb 2009 news story; Schymick et al., 2007), and Italy (Traynor et al., 2010). The other ALS GCTA included some of the same Italians, but also other cohorts from Europe and the United States, so the heritability figures of 12 and 21 percent apply to somewhat different populations. The Next ALS Gene Addresses Identified? All told, the data sets Keller used offered 1,223 ALS (both sporadic and familial) and 1,591 control SNP genotypes. She estimated that sporadic ALS, in the European-American population studied, results from 0.5 percent known genes and 20.5 percent yet-to-be-discovered genes. The 21 percent figure is a lowball estimate, the authors note, because GCTA misses insertions, deletions, and de novo mutations. The remaining 79 percent of ALS cause could include more genes, environmental factors, or gene-environment interactions, Keller said. Keller and colleagues took their analysis a step further. “What is novel about this study is the use of GCTA to attempt to localize the genomic regions that might hold the relevant gene variants,” Al-Chalabi commented. The authors divided the genome into different segments of about 20 megabases in size and applied GCTA to each. The genome regions with high heritability figures likely contain genes that influence ALS risk, they surmised. “It does not tell us which gene within a given region is responsible, but it gives us new regions to examine in greater detail,” Keller said. This analysis identified 17 regions of interest. Six of them already contain known ALS genes, such as the part of chromosome nine around C9ORF72 and Valosin-Containing Protein. Eleven others are not yet known to host ALS genes, and direct sequencing of those segments might identify new genes, Keller suggested. The authors were particularly intrigued by areas on chromosomes 15 and 22, but declined to speculate which genes might be responsible without biological data to back them up. “‘Missing heritability’ [is a] term that will likely disappear from the vernacular as genome sequencing data sets grow in size,” they wrote.